A new diner has opened up downtown with a full traditional diner menu of freshly made items with everything from breakfast items, soups, salad, sandwiches, wraps, pastas, and much more. Deluxe Diner is owned by brothers Chris and John and their father Tommy. They have a long family history of restaurant experience in Manhattan. Tommy opened up his first coffee shop in 1969 and expanded to 12 locations throughout midtown. Chris and John have fond memories working in the family business every summer as little kids and eventually full-time after high school and college. Their biggest feat was a 500 seat cafeteria in the Pan-Am building serving over 6000 people a day. 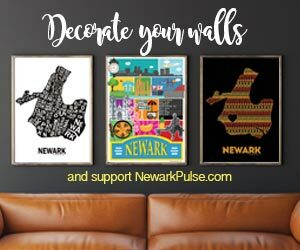 They are excited to be a part of the expanding Newark dining scene. Chris says, "We loved Manhattan, but our heart has always been in NJ. And Newark has that city feel that we long for." The menu at Deluxe Diner is extensive. Tommy is the chef and loves providing customers with a homecooked diner meal in a modern vintage atmosphere. "One thing we are committed to is serving Newark with high quality ingredients in every dish. We don't cut corners because this is how we build our trust with our customers. From our fresh fish down to our coffee beans we would never serve anything we wouldn't serve our own families." Chris' favorite item on the menu is the Cheeseburger Deluxe, but "I have to plug our grilled chicken that put us on the map in the city. My father's secret marinade always has our customers ordering our grilled chicken menu items." Stop in to check out the diner, welcome them to Newark and don't leave without trying the rice pudding. Extended hours will be announced for the Fall. DELIVERY: within a one mile radius.